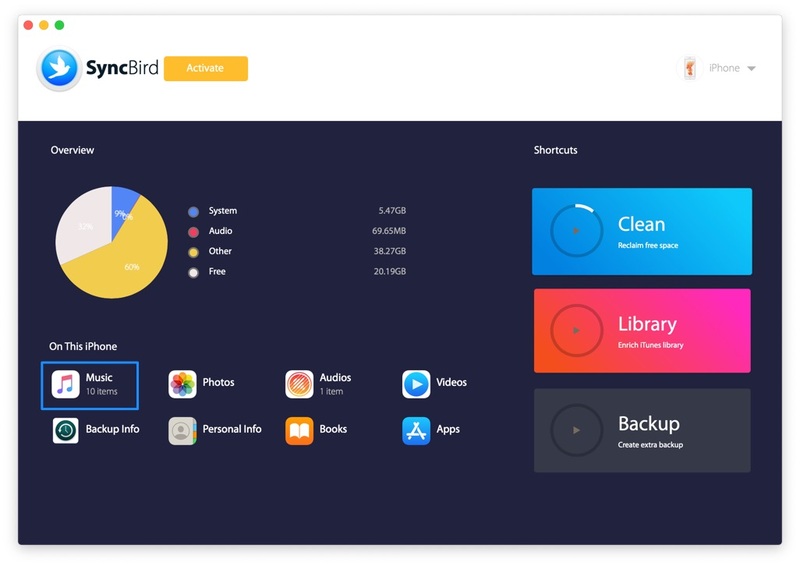 In this article, we help you to learn How To Transfer Downloaded Music from Mac to iPhone Xs/iPhone Xr/iPhone Xs Max by using our Mac To iPhone Transfer software - SyncBird Pro. Make sure you have downloaded the latest version here before continuing. A music download is the digital transfer of music via the Internet into a device capable of decoding and playing it, such as a home computer, MP3 player or your new bought iPhone Xs/iPhone Xs Max. Popular online music stores that sell downloadable singles and albums include the iTunes Store, Amazon MP3, fairsharemusic, eMusic, Google Play, CD Universe, Nokia Music Store, Xbox Music. Wherever your downloaded music from, so how do you transfer these digital music from your Mac to your iPhone? 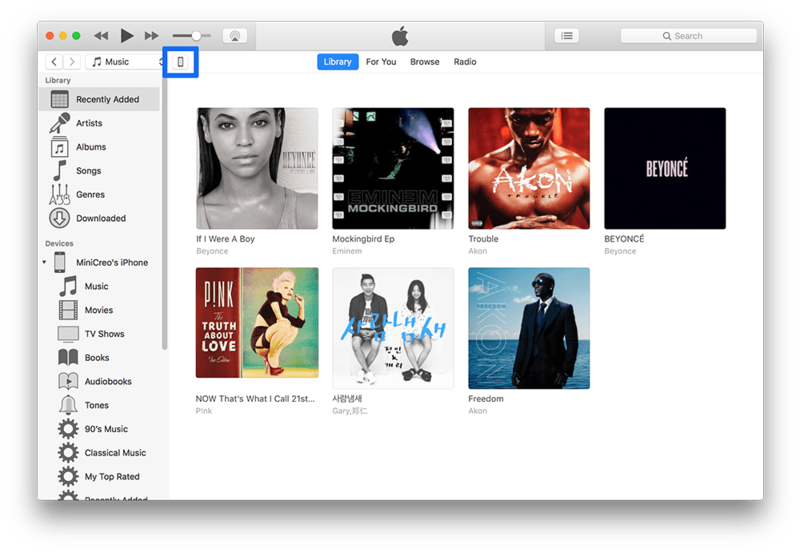 Read on to find out how to put your downloaded music from a Mac computer to your iPhone. iTunes is the default iPhone music (and other iOS content) manager software but not everyone is keen on this app. Too much limits and inconveniences are haunting iTunes. For example, whenever you want to copy new songs from iTunes to another iPhone, you have to compromise existing ones on that iPhone. But don't worry. Check out what you need in regard of copying downloaded music from Mac to iPhone Xs with and without iTunes (Get Best iTunes Alternatives 2018). Every Mac comes with in-built iTunes app and this is an advantage since you don't need to download additional apps. 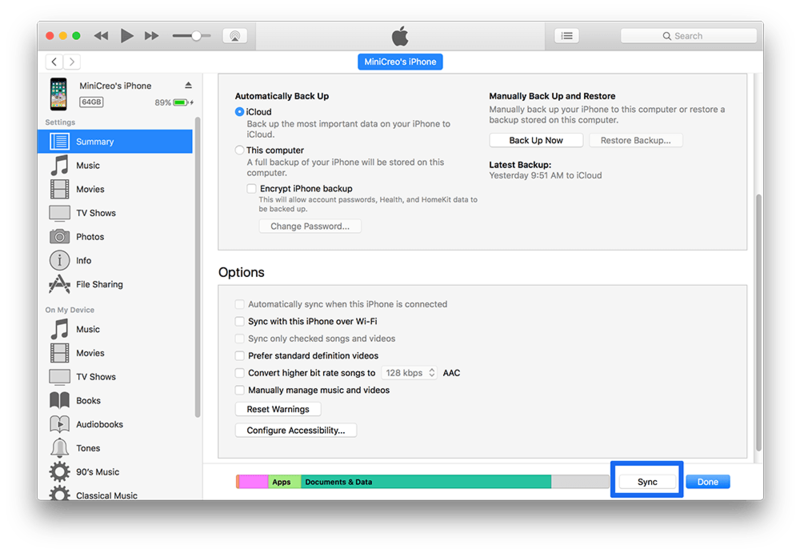 Here are step-by-step guide on how to transfer downloaded music from your Mac to your iPhone with iTunes. Check iTunes syncing settings in Options panel > add your downloaded music into iTunes library > then click Sync to start adding downloaded music from your Mac to your iPhone Xs. The downside of transferring music from Mac to your iPhone with iTunes is that you have to add your downloaded music to the iTunes library first. Besides, you cannot only add these newly downloaded songs, instead, you have to perform the syncing of the entire iTunes library, which will consume a large a mount of time. 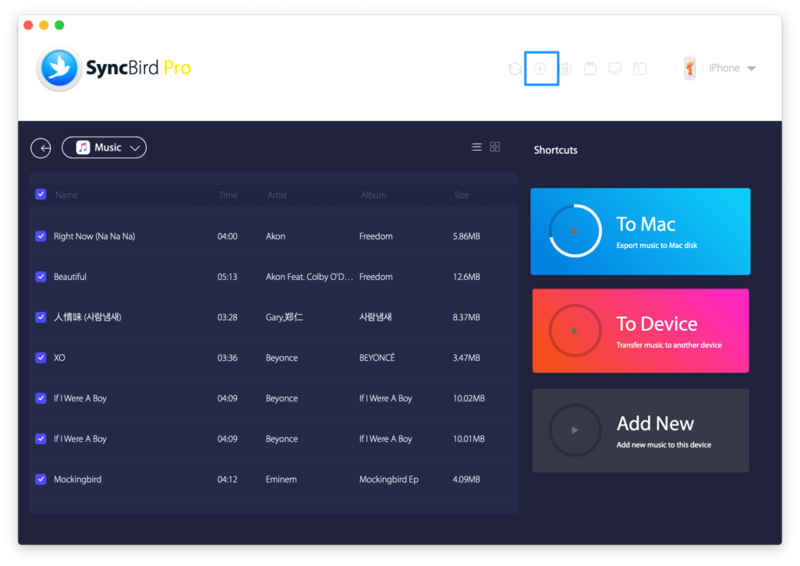 After few minutes, SyncBird Pro will finish copying your downloaded music from Mac to your new iPhone XS or iPhone XS Max. 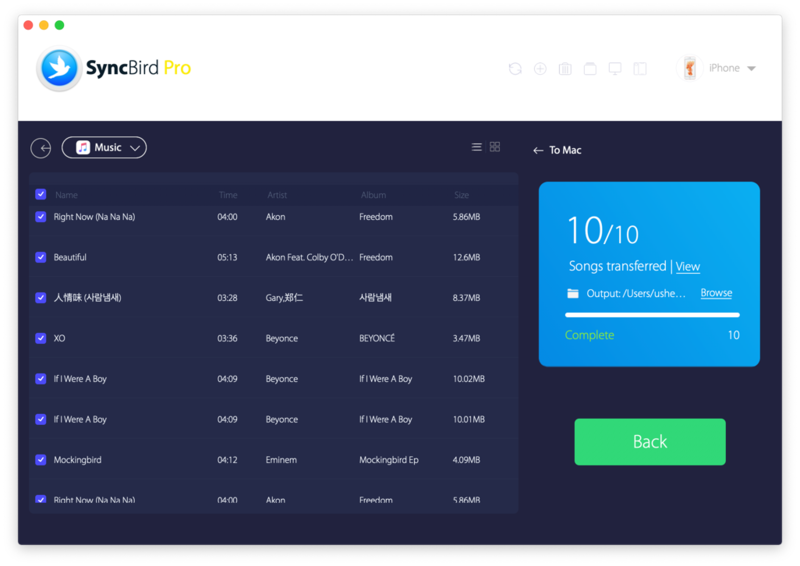 In the complete window, you can see how many songs have been sent.